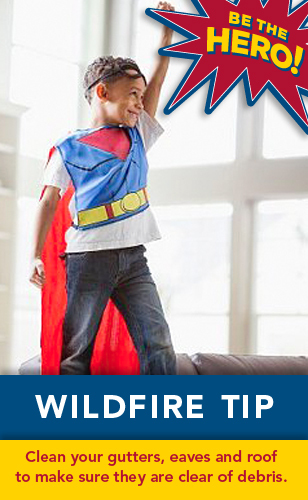 Be your home’s hero and clean your gutters, eaves and roof to make sure they are clear of debris. For more information on wildfire prevention visit www.flash.org. For mobile wildfire alerts and mitigation tips, download FLASH Weather Alerts at www.flashweatheralerts.org. This entry was posted in App, Wildfire by federalalliance. Bookmark the permalink.